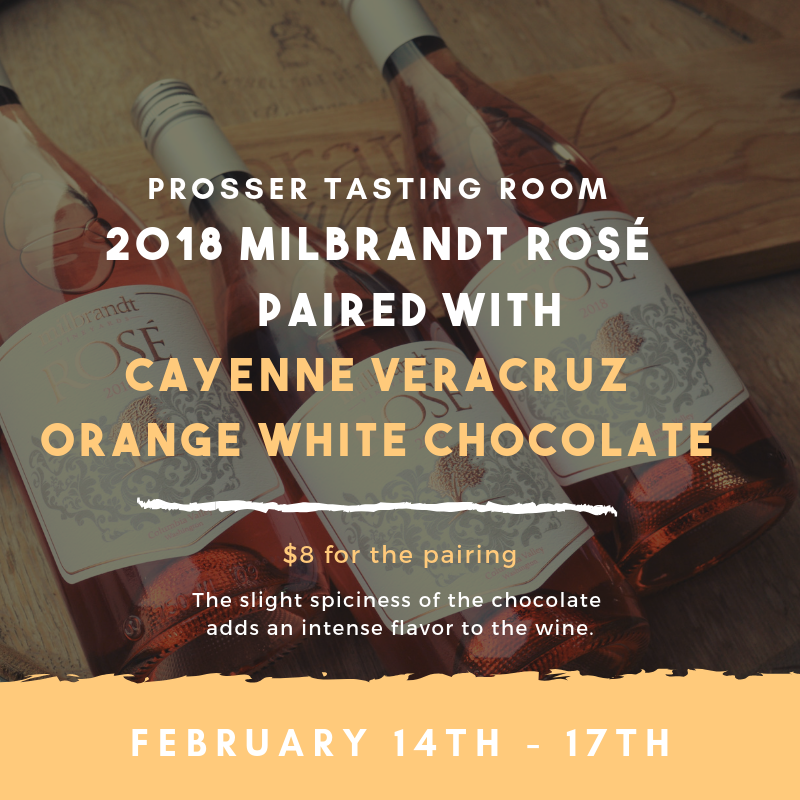 Join us in Prosser for the release of our 2018 Rosé! Pair a glass of our new Rosé with a bite of Cayenne Veracruz Orange White Chocolate. The slight spiciness of the chocolate adds an intense flavor to the wine.